An I/O, Level One waiver, and Autism Scholarship Program provider agency emphasizing community inclusion. They offer services to youth ages 16 and up and adults. Each program is developed to meet the needs of the wide variety of social and behavioral needs of individuals. Their focus is on personal daily living, health and wellness, employment, social, financial, family and spiritual health. Services are offered by trained and experienced care providers. A not for profit agency that works with people with disabilities and their families. They provide assistance to individuals who rent or own their home, both in-home and out-of-home respite services, outpatient behavior health services, summer programs, offer live-in caregivers and more. Their Family Support Services are provided by the State of Ohio for families who have chosen to keep their family member with developmental disabilities at home. Provides information to help parents in caring for their child with a disability. They have information about pertinent laws, how to find needed services, sibling issues, resources in Ohio and more. 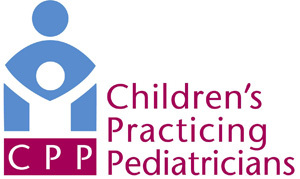 CPIR is a port of the Statewide Parent Advocacy Network (SPAN). The board provides support services for early intervention, family support, transitions supports and adult supports. Eligible children and adults are assigned a support administrator to assist them through these stages. Services include speech therapy, physical therapy, occupational therapy, respite care, vocational skills, and more. Provides a database of programs, organizations and products for families of individuals with developmental disabilities. Helps children and families in need or involved with multiple systems (like mental health, developmental disabilities, Franklin County Children Services, court, school) through service coordination. Their family-focused approach identifies and coordinates resources to better the lives of Franklin County youth, at no cost. This website helps parents understand a wide range of special needs, including muscular dystrophy, prematurity, cerebral palsy, autism, developmental delay and more. Parents can use the resource locator to find supports and services in their area. They can also find answers to a wide range of questions. The content is reviewed by both parents and physicians. Provides an individualized treatment experience for children, adolescents and young adults with physical disabilities for injury evaluation and athletic training. Oversees a statewide system of supports and services for people with developmental disabilities and their families across the lifespan. Each county in Ohio has its own Board of Developmental Disabilities, which is responsible for providing early intervention services in that county. Visit the website for more contact information. Online resource that lists statewide disability organizations and resources. This free 5-day leadership training program is for 11th and 12th grade high school students with disabilities. Participants will learn about choosing a career, the history of disability as a culture, available resources and assistive technology. They will be empowered to reach goals in education, employment and their community. Arranges no-cost air transportation within the Northeastern United States for patients seeking medical care. Volunteer pilots fly individuals for diagnosis, treatment and follow-up care as well as many other compassionate or humanitarian purposes. They also arrange special air transportation for military members and their families. A non-profit organization that educates and advocates to fight stigmas and advance opportunities for people with disabilities. They list a lot of resources for families and professionals. Provides a home-away-from-home for families who have hospitalized children at Nationwide Children’s Hospital. A small donation is requested, but no family is ever turned away because of their inability to pay. Provides mental health intervention and treatment services to youth ages 3-18 and their families who have emotional and behavioral challenges. Their specialized behavioral health treatment services include: outpatient and inpatient services (home-based and school-based), therapeutic preschools and after school programs, support for foster families and more. They provide the same services to Hispanic / Latino children. Therapies can be billed to Medicaid and a variety of insurances. An online resource with toolkits, parent coaching and resources to support parents with a child who has learning and attention issues. Parents can also find information on IEP and 504 Plan processes, as well as ideas on how to ask for special learning accommodations in the child’s classroom. Other programs developed with The National Center for Learning Disabilities are Friends of Quinn, Get Ready to Read, LD Navigator and RTI Action Network.